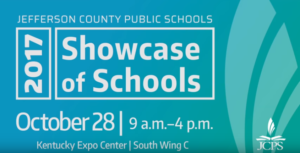 Showcase of Schools is Saturday at the ExpoCenter. @Dear_JCPS has partnered with Jefferson County Public Schools to ensure that parking fees do not prevent families in “non-neighborhood resides” districts from exploring and exercising their public school choice options. There will be free parking for West End families who do not have a resides school in their neighborhood (no dot in your color block shown on maps), along with with free shuttle rides to and from the ExpoCenter. If you live in one of these areas, contact us to obtain your free parking pass at 502-565-8397. You can also text your zip code to the same number, and we will send you a short survey and a digital parking pass. Your feedback will be provided to district leaders and student assignment committee members as they work to improve the student assignment plan. Also, we are also looking for volunteers to help us knock on doors and conduct surveys as we conduct more outreach in the coming months. If you are interested in helping, complete this survey to sign up. For more information contact: Moderator@DearJCPS.com or call 502-565-8397. Diversity Vs. Equity. Why Must We Choose? I received the attached email from board member Linda Duncan this morning. I wanted to share it with you, along with my response. As they say, “correlation does not equal causation.” Yes, gaps have widened, and yes, students have become less engaged. However, that doesn’t mean busing is to blame. There are many, many other factors that come into play. And this is where we need to be focusing our attention. It’s also not an either/or scenario. 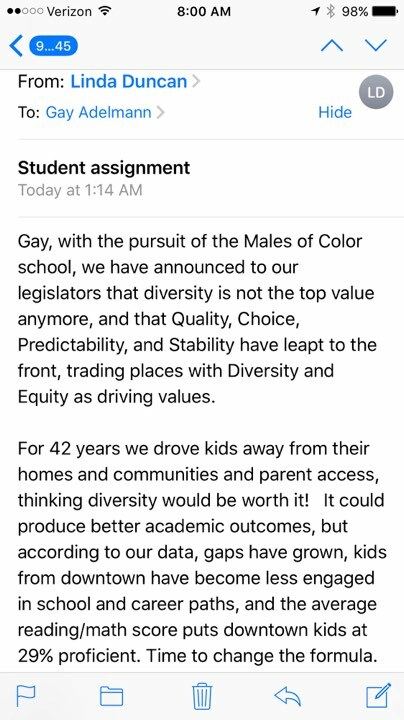 As I explained to Rep. Kevin Bratcher (who sponsored the “Neighborhood Schools” Bill last session), by the board approving a Males of Color Academy, we have not “announced … that diversity is not the top value anymore.” Not at all. Families who want schools to provide Afro-centric curriculum and equity in instruction, discipline and opportunities has nothing to do with wanting to return to segregation. This should exist in ALL schools, but since it doesn’t, they are requesting we start with one. Why must families choose between diversity and equity? Males of Color Academy is open to students of all races. Segregation by choice is not the same as segregation by force, or by lack of access. If disenfranchised families want this option, we should listen to why, but it doesn’t mean we should force it upon all. We all agree things must change, but that doesn’t mean the only way to do it is to return to segregation. It’s well past time to do the difficult work of revisiting the student assignment formula and process. It’s been a taboo subject no one wants to touch and that’s finally starting to backfire on us. The current student assignment process is not transparent, has significantly more hurdles for poor, minority students, and frankly, it’s discriminatory. How can district leaders come to ANY conclusions without giving those most affected by busing an opportunity to be heard? I encourage you to talk to teachers and families in these downtown and West End schools. I encourage the district to engage in authentic dialogue with community members. Not just the ones who know how to advocate but the ones who are too busy overcoming systemic injustices to contact their board members and attend community forums. We must get out into the community and find out what people want to see happen here. We cannot defer to the ones who are the loudest, because some of the same folks who are promoting a privatization agenda have given a small sliver of the community a megaphone. They do not speak for the majority of people I encounter in my advocacy work. Our student assignment plan is not perfect. But due to our segregated housing in Louisville, and lack of schools in the West End, busing is still needed. Approval of the Males of Color Academy should not be used as “justification” to end busing and take away opportunities that busing and integration provide to a greater number of students … not just students of color, but white students, as well. Yes, let’s change the formula. But let’s do it in a way that is equitable, transparent and inclusive. Let’s stop throwing our most vulnerable, most disenfranchised students and their families under the bus, literally. Let’s seek their input and give those paying the highest price a chance to lead the discussion for once. This is difficult work the JCPS community must do, not have dictated to us by lawmakers. Dear JCPS is ready to assist. Please let me know how we can help. Thank you for your service, and again for reaching out. Set up your GAME BOARD. Give yourself cash, properties and hotels and houses, totaling $18,000. Your opponent gets the traditional $1,500 to start. This 12:1 disparity represents the median amount of wealth transferred from whites to their heirs, compared with African Americans. There are two sets of CARDS. Educational injustices experienced by students of color go in the FAT CHANCE pile (click here to print your own cards). Tax breaks, stock market gains, work bonuses, opportunities due to “who you know,” etc. go in the PRIVILEGED COMMUNITY CHEST. They choose their TOKEN (the IRON, because it’s the only one that’s left), and the game commences. When they notice that the board is not set up equitably, they complain. You respond with, “That’s in the past. We’re all equal now. Let’s play!“ You roll and proceed to move forward the correct number of spaces. When a player lands on a “DRAW A CARD” SQUARE, you draw from PRIVILEGED COMMUNITY CHEST. Your opponent draws from the FAT CHANCE pile. These distinctly different stacks of cards represent the systemic disparities still in place from generations of targeting, profiling and redlining of the black community reflected in policies and norms throughout society today. When your opponent lands on YOUR PROPERTIES, they pay you RENT. If you own all properties in a COLOR GROUP, their rent is DOUBLED. When you land on THEIR PROPERTIES, same thing. Except, they probably don’t own any properties, you bought most of them (or inherited them) before they got there. Eventually, they will inevitably land on one of your HOUSES or HOTELS and they won’t have enough cash to continue. 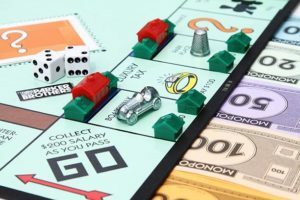 If they happen to have purchased a property, they have the option to MORTGAGE their property to the bank in order to stay in the game. However, they only get half the LOAN AMOUNT on the back of the card. To inspire whites to understand their privilege enough to research it and develop talking points so they can respond to others who try to marginalize it by saying racism or privilege don’t exist, and to commit to fight to create equitable learning opportunities for our children of color. Credits: Created by Gay Adelmann. Inspired by Shelton McElroy and Jane Elliott. Disclaimer: We realize this post will probably upset some of our white followers. However, in this current climate, and the increasing suffering of our students of color, we believe it’s a chance we must take. If you disagree with the examples presented in this post, it’s possible that you are not one of the ones impacted by them. The FAT CHANCE CARDS were created based on actual examples experienced by students of color in our district. These hurdles continue to happen every day in our schools. And we cannot end them until we acknowledge they exist. Everyone should know by now that you all can only do “so much” due to a possible state takeover but at this point it doesn’t matter and let me explain to you why. Charter schools are a radical change. Trying to legally segregate us again was an almost radical change. Approving the Dubious Academy was a radical decision (kudos) although seemingly very rushed and unorganized with some very stupid contingencies…but still very good nonetheless. What are you all actually doing to help the other 30 thousand students of color? From what i see, NOTHING compared to simple things you can do. It is easier to approve a school and start one for a specific demographic than it is to teach culturally and historically accurate information to your teachers and students??? No no no no no. I do not for one second believe that mess. One bit!! I’ve visited a school or 2 with high concentrations of students of color and white teachers. I’ve been at other schools as well where its like walking in a mini university. I’m no professional in the field but correct me if I’m wrong in thinking that its easier to teach students who look like the people who write and sell the curriculum. African descendants built this country. My parents parents parents’ environment was manipulated in a way to create a perpetual cycle of poverty, maladaptive behavior, and a slower pace of growth than every other demographic. And we are seeing the manifestations of the social experiment of the “ghetto” (which was adopted from Adolf Hitler and given steroids) in today’s children and adolescents of color. For starters, a simple way to begin to break the school to prison pipeline is teaching a real education with real facts. Not some europeanized lie that’s been perpetuated for HUNDREDS OF YEARS. You know, like the roman emperor names Septimius Severus who was from Africa. Who was born with heavily melenated skin. Or the man who created the machine to attach soles to shoes. Or the woman who created the ironing board. Or the fact that every major religion on the planet in our existence was started by melenated people. Or something as simple as making sure every map in every classroom that has and needs one shows the relative size of every continent. You know, the fact that America, China, India, and Europe, and Japan fit into the continent of Africa…All together. Or that Plato, Aristotle and their gang of philosophers gained the vast majority of their base knowledge and much more advanced knowlege from Africa. That Alexander the great was intimidated by Queen Candace of Ethiopia and instead of an invasion, he retreated before even going to war with her and her army. That the wealthiest human in history was Mansa Musa of Mali. Or that people from Africa sailed to the americas long before Columbus. In no way am I saying anyone is better than anyone else, but why lie? Stop contradicting yourselves by saying, “We’re committed to equity” when you pay for books that teach lies. You want real change in the classrooms? Stop closing down schools that actually work. Teach your teachers diversity and empathy, as well as how its difficult to learn when you’re too hungry, tired, and/or wound up to learn from trauma. Fix the biased busing. Teach the truth. Equitably market the schools downtown. 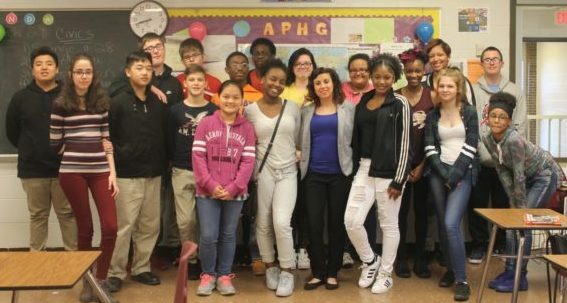 Create youth counselor positions for people who will be trained to teach emotional regulation and social skills for our students who live in poverty and affluent neighborhoods. Of course teaching curriculum based not entirely off of white male fairy-tales will cause a ton of white flight. SO WHAT!!! If you can’t teach relevant information that will change the perspective of how we view one another to a more positive one then you do not at all need to be teaching anyone’s child anything. Oh and ending the play-based school downtown was a stupid decision. You clearly missed the obvious fact that the schools leaders didn’t support it in the first place. You also missed that they clearly defied the board by not implementing the program like they were directed to. Also, I don’t see how smart of a decision it is to appoint the new CAO when she literally has only worked with 1/6 the students of color population that Louisville has. WAKE UP Pollio. White students get more than enough in this city from the school district. And now the person in charge of Title 1 and 2 funds is the same person who cannot give a moment of silence to 2 students? We cannot continue to be devoid of common sense. I am writing you to talk about the local controversy about busing in JCPS, and as a former victim of busing I say that it needs to come to an end. Although I see why busing is a touchy topic, and it’s hard to say that I feel this way in the first place I believe that there are many more cons to busing versus pros. In the 6th grade I was bused from my home on downtown market street to Crosby middle school, and I hated it. Every minute of it. Every morning it took me 45 minutes to an hour to get to school, and I had no other choice, I could go to any school in the neighborhood, after the long, painful bus ride when I was inside the school I still dreaded it. 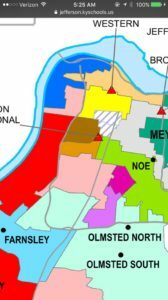 Me and everyone that was bused from downtown did not get along with the kids that came from the neighborhood, often found it were one group was having an issue with another group, mainly because of the much different economic status that took place in the school. 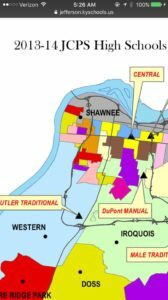 Downtown is a mainly poor area, and I grew up that way, and kids around the school were fairly wealthy. Me and other kids I knew from downtown were picked on because we didn’t have name brand clothes, or the new iPhone and that caused fights and arguments, and that sucked, but the issue was never about race, and that’s because busing has stopped that issue. It’s hard to say that I am against busing because it gets rid of the major racism issue, and I’d say that is the biggest part of why busing needs to stay, but it starts so many issues in school and out that instead of getting rid of busing entirely, you need to replace the system. I am against busing don’t get me wrong, having to ride the bus for an hour is ridiculous, one time I finished an entire video game on the bus riding to and home from school. But getting rid of busing without a good replacement is a huge mistake. So I’d like to discuss a plan that I believe could work for busing in jcps. Not only would ending busing altogether [create] an issue with segregation, but it would make everyone be forced to go to their neighborhood schools, and now that I’m in high school, I would KILL if I was forced to go to my neighborhood school. So I believe that ending busing, but allowing kids to stay in the school that there already in would be a good alternative. Some kids that are being bused enjoy it, they like where they go to school and don’t want to go to their neighborhood school, I understand that, so I think that if you are a student of busing and busing gets replaced you should be able to decide [if] you stay in the school you are currently in, or move to your closest neighborhood school. I know that that plan is far from flawless, and I can see issues with it now, but I like that base idea of it. I think that this plan can be worked on to make a plan that can ultimately make JCPS a better district and a better community. Thank you for your time for reading this letter.